Meniscectomy is a surgical procedure indicated in individuals with torn meniscus where the conservative treatments are a failure to relieve the pain and other symptoms. Meniscectomy is recommended based on the ability of meniscus to heal, patient’s age, health status and activity level. Conservative treatments for meniscal tear include R.I.C.E (Rest, Ice, Compression, and Elevation) and use of nonsteroidal anti-inflammatory medications. Surgery is recommended in severe cases and may be performed using arthroscopic technique. Depending on the extent of tear, your surgeon will decide on whether to perform total meniscectomy (complete removal of torn meniscus) or partial meniscectomy (unstable meniscal fragments are removed and intact tissue is left in place and the edges are smoothened. 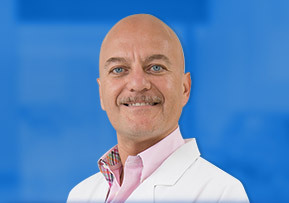 Your surgeon may also order for rehabilitation program following the surgery for better and quicker recovery. 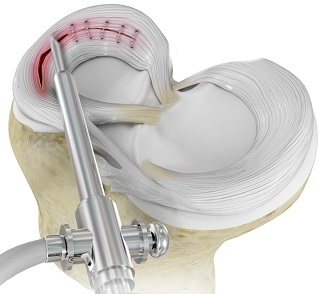 With the images from the arthroscope as a guide, your surgeon can look at the menisci and confirm the type, location, and extent of the tear. Once your surgeon has located the meniscal tear, surgical scissors and shavers are inserted into the portals to remove the torn menisci. In total meniscectomy, entire menisci is removed and in partial meniscectomy only the torn part of the tissue is removed leaving the intact tissue in place with edges smoothed.